I have a special treat for everybody today. Steve Scott has taken time out to share some tips for Kindle publishers. I think you will find what he has to say both interesting and actionable. I interviewed Matt Stone a few months ago, and when I asked him what it was like to work with Steve Scott, he told me “Steve is an efficiency machine.” How do you respond to that? I guess that's a good thing. Honestly, I don't think I work any harder than most people. The difference is I believe in creating schedules for writing and completing a minimum word count on a daily basis. Before I do anything else during a workday, I make sure to complete my writing. I feel that if authors applied this type of structure in their day, they could easily crank out a consistent level of content. 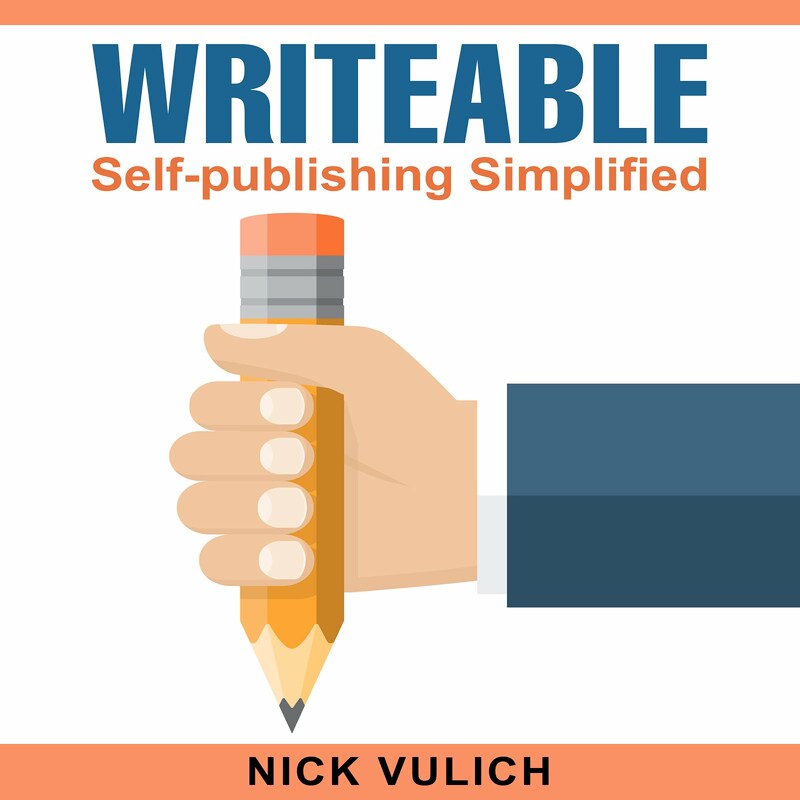 Most books about self-publishing talk about price pulsing and optimizing your book’s selling price to make the most money possible. Whenever you talk about pricing, you talk about keeping your price low, and how important it is to offer your readers value for their dollar. Can you talk about that philosophy a little, and how it has paid off for you? The mistake that I see many authors make is to squeeze the maximum amount of money on a single purchase. I believe that providing value, at a good price, is the best long-term strategy for getting repeat customers. You see, your goal shouldn't be to make a bunch of money on one book. You want to give a valuable enough reading experience that a reader will come back and buy the other books in your catalog. So while I don't make as much with an upfront purchase, I'm confident that I make more money in the long-term because single purchase readers will go on to check out (i.e. buy) other offers. You’ve recently started making a move away from a Kindle only platform. Some of your books are available as Create Space paperbacks, and as Audible audiobooks. How is that move working out for you? And, do you feel it is something more Kindle publishers should be doing? The results have been mixed. I barely make my money back on CreateSpace books, but they also show a nice "price differential" on the Kindle books, so the $2.99 price looks more attractive. The Audible stuff has been great so far. Out of five books, four have made their money back. In addition, the income is starting to creep up to the $1k to $2k range, which is a nice supplement to the Kindle books. I feel that authors should try out both platforms--at least on their bestselling books. My advice is to try it with the books that generate at least five sales a day. Odds are it will have enough "visibility" to get traction on the new platforms. You’ve also been more active on social media recently, posting on Facebook and SlideShare. Can you talk a little about your social media strategy, and how it’s working for you? I'm still not the best with social media. I do respond back to people on Twitter and occasionally post an article, but I never seem to have time to get on there. Facebook is the same...I'll occasionally post, but it's not a vital part of my marketing. SlideShare is awesome so far. What I like about this platform is I can "systematize" the whole thing with my VA. Basically, she takes my content and turns them into interesting looking presentations. From there, I drive most of the traffic back to a squeeze page, which helps grow my overall brand. I think there's a lot of potential to SlideShare, so I'm spending the next few months trying to maximize the results. Your book Is 99 cents the New Free? Started a lot of authors to switch up their prices, and make a run for number one in their category using a 99 cent price. You use a lot of different strategies to keep your books selling – permafree, 99 cents, KDP Free Days, and Countdown Deals. Could you explain your pricing strategy, and which ones work best for you? Without a doubt, discounted my books to $0.99 has been my top strategy. I do this during a book launch where I'll start with a $0.99 for a week, then raise it $2.99. And I also use this strategy with Countdown Deals. Every 90 days, each book can have a week-long Countdown Deal. So I make sure to use this special promotion to increase my overall unit sales and get more visibility of my brand. It seems to me readers are losing their patience with short books. Kindle Shorts, especially are receiving bad reviews, for being too short, or incomplete. Even the big guys like Steven King and Janet Evanovich are feeling the wrath. Do you think it’s time for Kindle authors of both fiction and nonfiction to rethink the strategy of putting out short books focused on a single topic? Don't really agree with this statement. While I do agree that many readers don't like short (like 30 pages or less) books that offer no value, I still feel there is a lot of value to writing shorter books (15,000 to 20,000 words). The key here is to tightly focus on one specific topic and make sure you're answering every possible question a reader might have. What’s next for Steve Scott? You made it big with your self-publishing titles. Your “Good Habits” books are doing very well. Do you have another niche in mind, or is there some other genre you’ve always wanted to write in? Honestly, the habits books are doing so well that I'm going to continue working on growing the overall brand. Right now, I'm focused on building up my email list using various traffic strategies (social media, SlideShare, Google organic search). The idea here is to have such a large list that whenever I have a new book or Countdown Deal, I'll have an audience that's ready to check it out. Let’s talk about your mailing list for a minute. Do you think you would be as successful as you are if you didn’t have your list? How about for a new author just getting started, how important do you think building an email list is to their success? Not at all. I'm sure I would have sold a few books, but nowhere near as much if I didn't focus on list building from the beginning. From my testing and tracking, I've learned that email marketing is the #1 strategy for promoting Kindle books. So for new authors, I would recommend spending just as much time focusing on list building as I would writing Kindle books. What do you think the next big trend in self-publishing is going to be? I mean Audible (audio books) is still a growth market. Compare their 150,000 books available to the millions on Amazon. That number has got to break a million in the next five years. How about video? Or interactive books? I'd say that the Audible market is definitely going to grow. This is especially true if Amazon makes it as easy to download and consume content like they do with Kindle books. Have you given any thought to where the markets going, or how self-publishers can stay ahead of the curve? Ultimately it's going to get increasingly difficult to compete on the Kindle platform. There are so many authors now that are vying for the attention of readers. To stay ahead of the curve, I recommend building your own platform. Specifically, you should focus the majority of your efforts on building an email list--even if that means sacrificing profits up front. The better "connection" you have with subscribers, the more books you'll sell in the long-term. The last question, I promise. What do you think is the number one thing new writers can or should do to make themselves stand out and be successful? I'll give you two: (1) Find a niche where there is an actual audience full of people who experience a variety of problems that need to be solved. (2) Regularly (every 4 to 6 weeks) publish great books that each provide an in-depth solution. Steve Scott has developed two highly successful niches on Kindle. The first one on writing and publishing Kindle books and his most recent is the Good Habits Series. 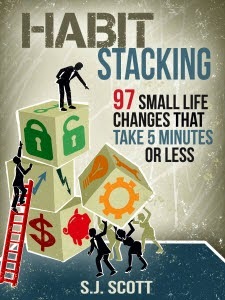 His newest book Habit Stacking: 97 Small Changes that Take Five Minutes or Less. It’s currently trending to crack Kindle’s top 100 list. You can learn more about Steve by visiting his blogs: http://www.developgoodhabits.com/, or http://www.stevescottsite.com/. Great Interview, Nick. I think of Steve as the 'go to guy' for Kindle authors - he's leading the field on how it's done. Inspirational yet practical - and I love that he's so honest!